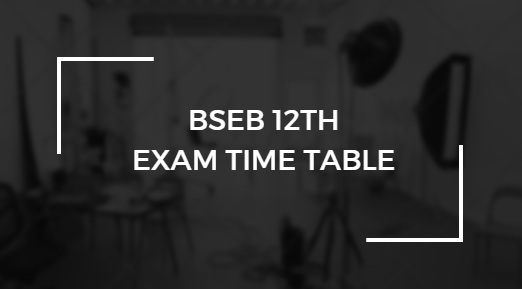 According to the New Delhi report, the Bihar Secondary Education Board (BSEB) has successfully announced the BSEB 12th Exam Time Table 2018 and in accordance with the same, the exams will start from the February month. This time, the exams are happening one week earlier than the previous year’s schedule. Last year, the exams began on 14th February and ended on 25. You should start the preparation for the exam because it will be too late otherwise if you don't. 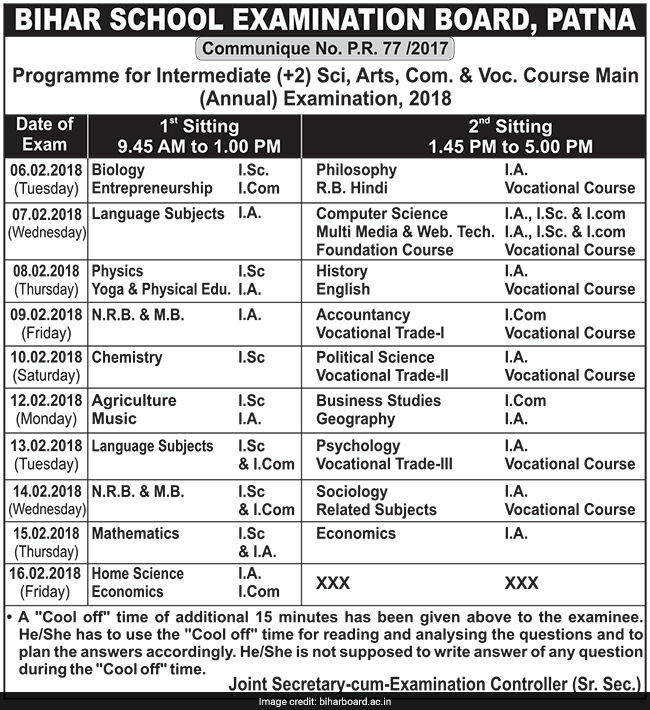 You should give proper time each section of the exam otherwise you will have to miss out on special things which are the part of the exam. Try checking out the syllabus and exam pattern of the exam to increase the chances of success in the exam. The test will be conducted in two shifts: 1st Shift, 2nd Shift.